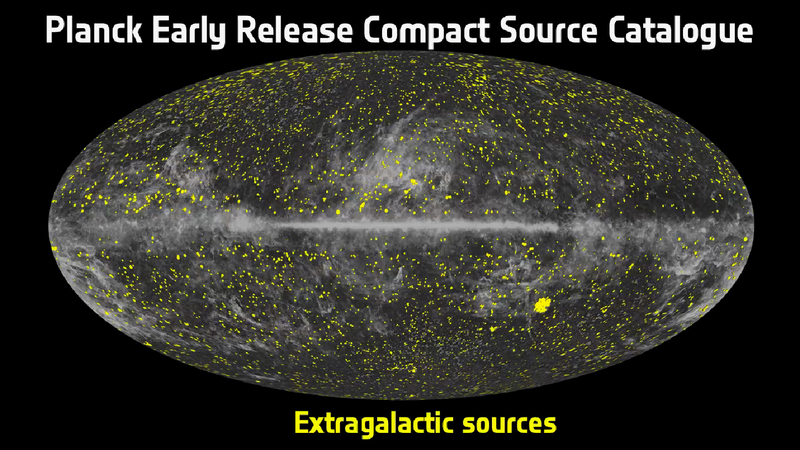 This image illustrates the position on the sky of all extragalactic sources detected by Planck during its first all-sky survey and listed in the Early Release Compact Source Catalogue (ERCSC). 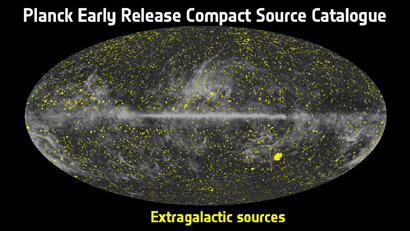 This sample of compact sources includes both radio galaxies and infrared galaxies. The size of the spots displayed in the image reflects the brightness of the sources.